WILMINGTON, N.C. – Cape Fear Museum has been awarded a $25,000 grant from the North Carolina GlaxoSmithKline Foundation. Funds will be used to fund astronomy programming for every third grade class in New Hanover County and to offset the purchase of the Museum’s new portable planetarium. “This grant will allow Cape Fear Museum to serve an additional 1,500 local students and provide them with an opportunity to explore the solar system and experience astronomy without leaving the classroom,” Museum Director Sheryl Mays said. An integral part of Cape Fear Museum’s school programming is its portable planetarium. Museum educators take the planetarium to schools across southeastern North Carolina and annually deliver programming to more than 1,300 students, 500 from New Hanover County. When grade level programming was last offered free to local schools, nearly 2,000 New Hanover County students were served. 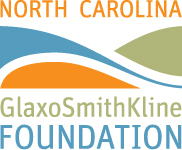 The North Carolina GlaxoSmithKline Foundation is an independent self-funding 501(c)3 nonprofit organization supporting activities that help meet the educational and health needs of today’s society and future generations. Since our establishment in 1986, the Foundation has awarded $65 million in grants. The Foundation pays approximately $3 million in grants each year to North Carolina nonprofit organizations.